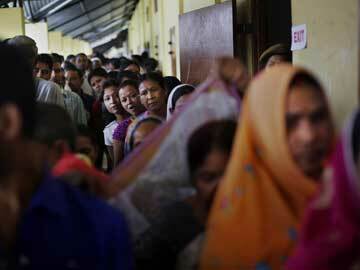 The last day of polling in 41 constituencies in three states - Uttar Pradesh, Bihar and West Bengal played to script. Only West Bengal, which had a huge 82 per cent turnout in 2009, saw a small dip at 81.77 per cent. In the first eight phases of the election, 66.2 percent of registered voters had exercised their right to vote, election commission data had showed. The BJP and its allies are seen as favourites to win the maximum seats when results are announced on Friday, May 16. But regional parties are also expected to play a key role, with most polls indicating that Mr Modi's alliance will struggle to achieve a majority, falling short of winning 272 of the 543 seats in the Lok Sabha. "We have to be cautious. It's very hard to tell that increased turnout is good for the incumbent or bad for the incumbent," said Vivek Dehejia, an economics professor at Canada-based Carleton University. "It seems to represent people coming out to vote out the Congress-led government (but) every vote taken away from Congress does not necessarily mean it's for the BJP," he added. This year's election was held in nine phases beginning April 7. Votes will be counted on Friday, May 16.